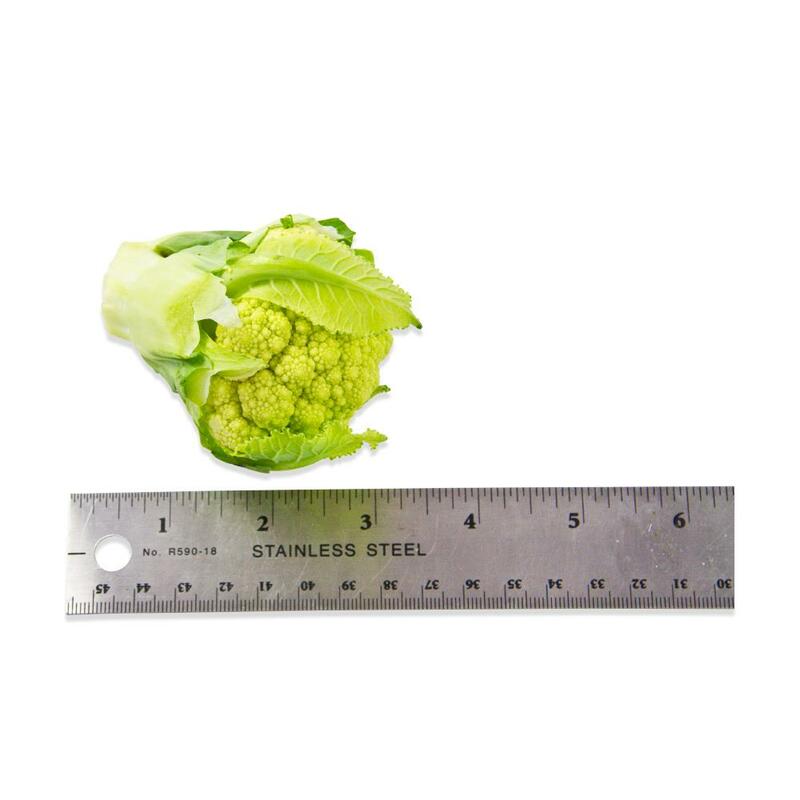 Baby cauliflower heads are significantly smaller than adult ones (generally about the size of a softball), and can be prepared and served whole in addition to being cut into florets. They are available in four different colors – white (plain), green, purple and orange. All four varieties have green leaves. 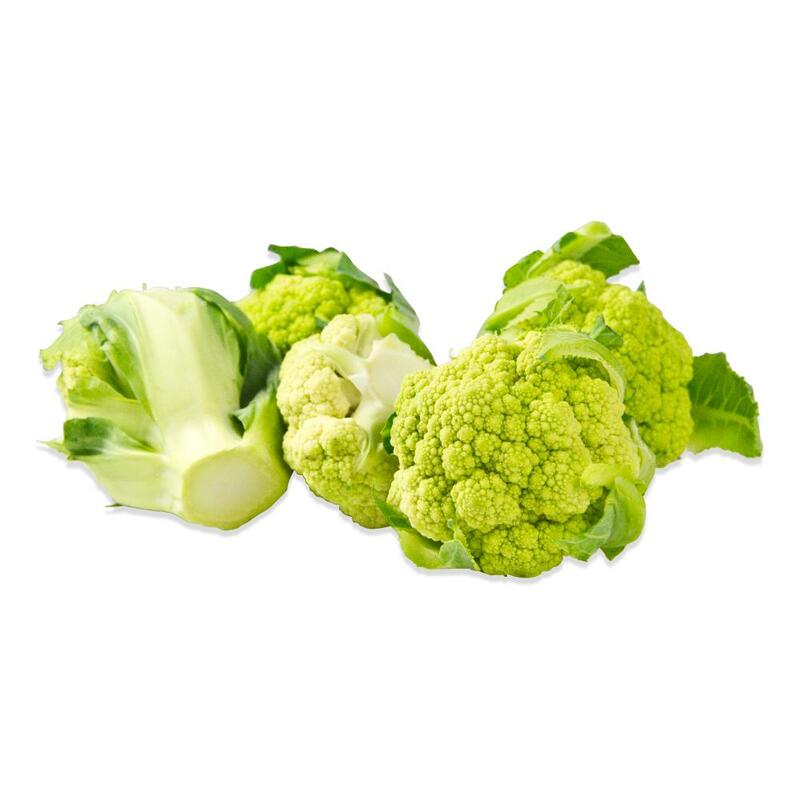 Green cauliflower (aka broccoli cauliflower, broccoflower) is a broccoli-cauliflower cross with a tender texture and a mild flavor evoking both broccoli and cauliflower. Purple cauliflower gets its color from the presence of anthocyanins – the same pigments found in red wine which may offer several health benefits. Its florets can range in color from light purple (lavender) to dark purple. Purple cauliflower contains more vitamin A than white cauliflower. Orange Cauliflower gets its rich orange color from the pigment beta carotene, which is a source of vitamin A. In addition to the additional vitamin/antioxidant content of each variety above, cauliflower is in general an excellent source of fiber, vitamin C and other vitamins and minerals. 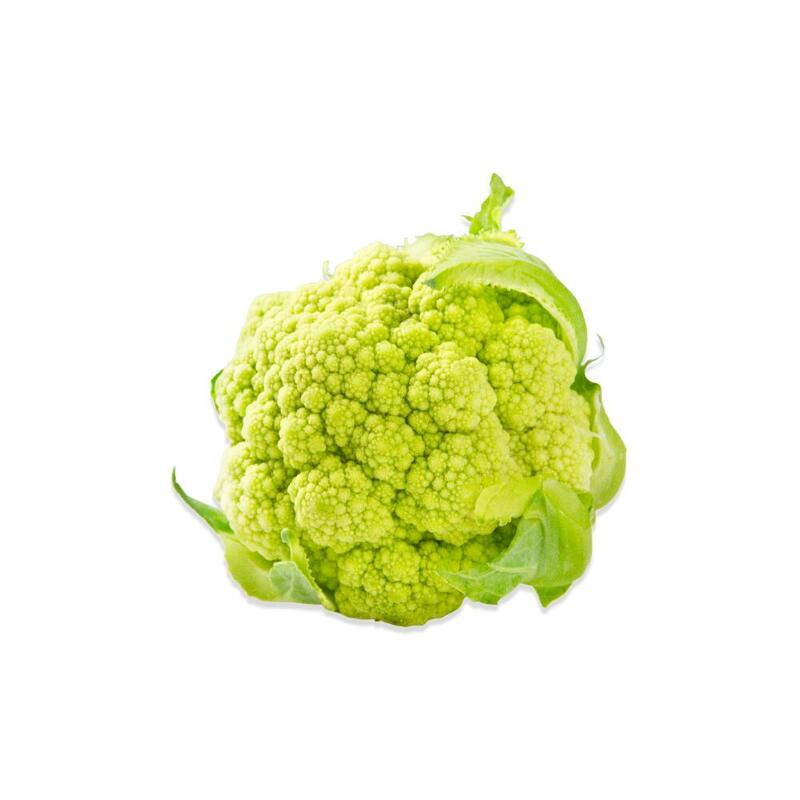 Store baby cauliflower in your refrigerator. Baby cauliflower can be roasted, steamed, blanched, sautéed, served raw, etc. It is more delicate than mature cauliflower. Pair cauliflower with ingredients like chives, garlic, onions, dairy (milk, yogurt, cream or cheese), chervil, cilantro, dill, vinegar, curry spices, chilies or bell peppers.